Rent Whispering Pines Bed & Breakfast, Restaurant & Lounge | Corporate Events | Wedding Locations, Event Spaces and Party Venues. Relax and let the capable staff at Whispering Pines Inn walk you through the planning of your special day. We offer complete arrangements from decor and fine dining to plush accommodations and scenic grounds for photographs. Call our friendly staff today. We'll be delighted to hear from you! The gazebo area for Rehearsal, Ceremony & Reception. Access to the grounds at 12:00pm. We set up the chairs, tables and linens and clean up afterwards. Two rooms - Bridal & Groom's suites - typically used as dressing rooms for the day OF the wedding and both overnight stays with breakfast for two included with each room. Access to these rooms at 3:00pm. We offer a full outdoor bar with an open or cash bar option. $100 set up fee and $350 spending minimum is required. We offer in-house catering services from Hors d'oeuvres to buffet type dinners starting at $12.99 per person and non-alcoholic beverages (Ice Tea, Water and Sherbet Punch) for $1.50 per person. Plates, silverware, napkins and plastic cups included with in-house catering only. Outside Catering Allowed with $2.00 per person fee. 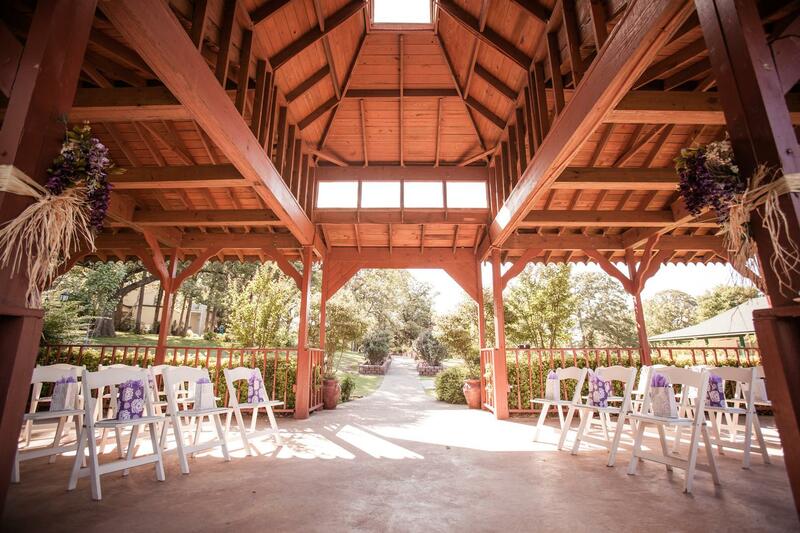 Wedding Ceremony at our Vineyard area and Reception in the Gazebo area. An additional $450 on top of wedding package price.